An eye-catching ground cover that's great for filling in those bare spots. 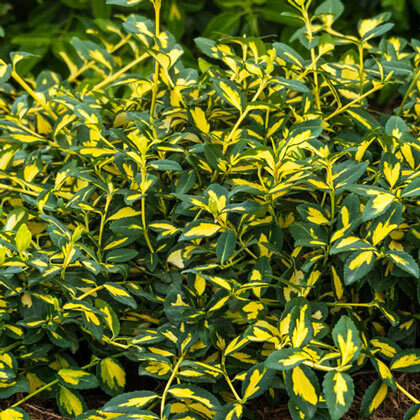 Grown for its colorful foliage, Moonshadow Euonymus has leaves with bright yellow centers and dark green margins. In the fall and winter, the leaves are touched with pink. Growing 12-24 inches tall, this perennial is a good choice for sprucing up a garden bed or as a ground cover. 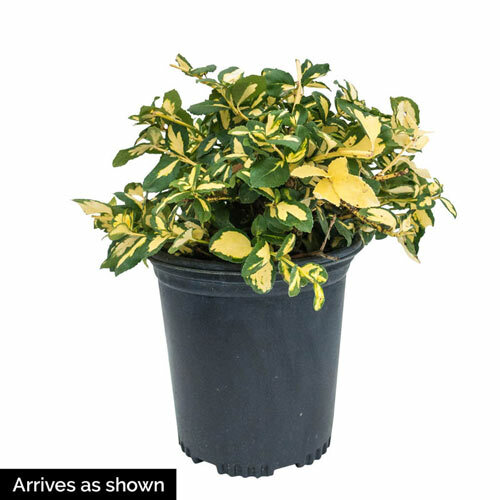 Grows best in full sun to partial shade. Available in a gallon pot, ready for planting, and shipping now. Potted. Zones 5-8. 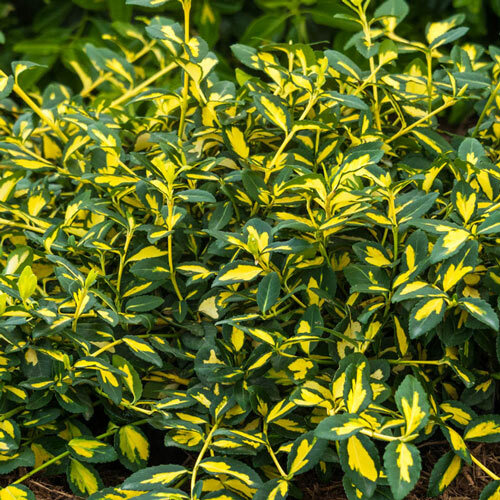 FoliageEvergreen leaves approximately 1-inch long, variegated. Dark green margins surround bright yellow centers. Flower FormFlowers with yellow centers and very light green margins. PruningPruning can be done in spring or summer, if needed. Prune to keep the plant clean or to maintain the desired shape. CommentsAn excellent rambling groundcover, with 1-inch leaves that develop a pink tinge in the fall and retain that color throughout the winter. Also suitable for slopes, beneath trees, or cascading over walls. Adds color to shaded ares.